Tetra Tech and our acquisition partner Watershed Sciences performed a LiDAR study in the Okanogan National Forest in northern Washington State. Delivery specifications included classification and analysis of the terrain model. 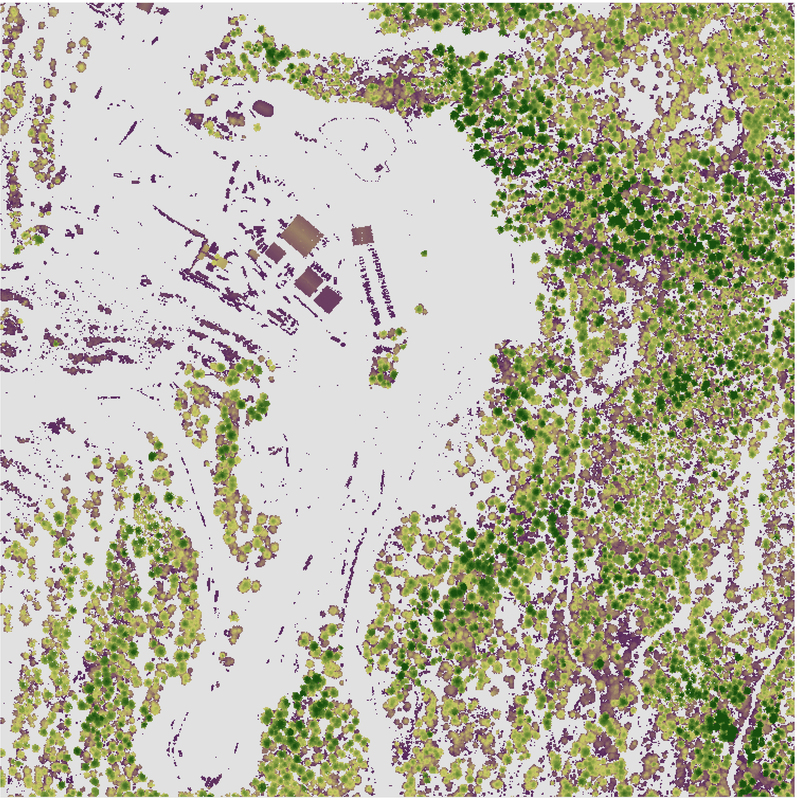 Following successful acquisition, the dataset was imported into Terrascan, tiled and reviewed for proper coverage and density. After auto-classification, the entire data set was inspected tile-by-tile and edited as necessary. In the review of each tile, the ground surface model was viewed as a shaded relief image with contours overlaid. The various classes of vegetation constituted almost 60% of the points returned requiring added manual inspection and QA/QC of the ground surface points. Incorrectly classified points were reclassified as necessary, and the classification routine re-run locally to correct nearby points. This careful review of each tile in the project remains central to making a consistently high quality DEM. Another ancillary function supported by the LiDAR data was the identification of cultural features such as roads obscured by the forest growth. Clear visualization of the roads on the intensity image underscores the value of high density LiDAR collection to penetrate the forest canopy. In a final QC check the Bare Earth model was compared to the surveyed check points. The check points collected by RTK methods in the field were draped on the Ground class. The differences were tabulated and the statistics generated. The results confirmed the statistics reported in the acquisition report. The RMSEz was computed at 3.6 cm corresponding to NSSDA 95% confidence interval of 7 cm.